So far in the year we’ve been living in Warsaw, I’d say that May is my favorite month. The city seems to have burst out of its cocoon this month and is fluttering with life just like a butterfly. I see vibrant green parks and blooming flowers everywhere, and the city is simply bustling with activity. Every weekend, there’s a concert or festival happening. 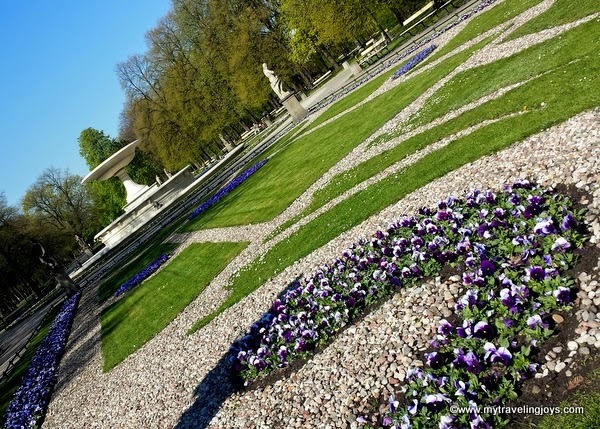 Every Sunday at noon and 4 p.m. from May-September, you can enjoy an hour-long (and most importantly, free) concert featuring classic Chopin music at Łazienki Park. 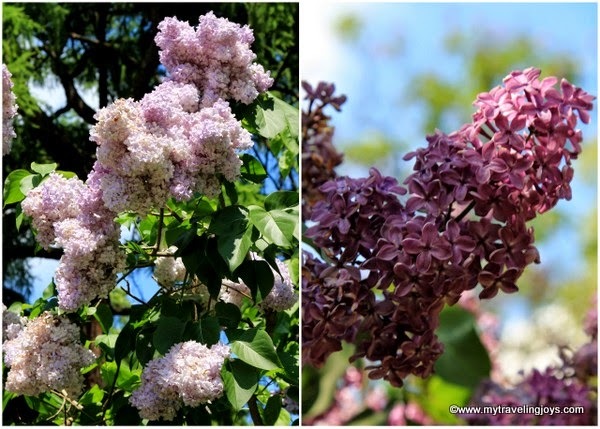 While the early months of spring are marked by the golden blossoms of forsynthia, May is signaled by the sweet scent of lavender lilacs, which remind me of my mother’s garden. I even bought two lilac bushes and planted them on our balcony this spring. 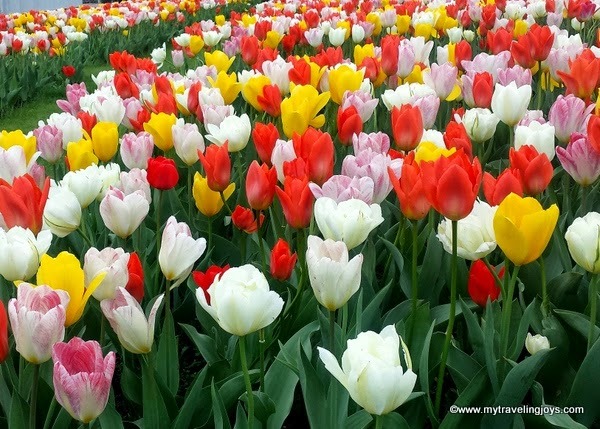 You’ll also find several colorful tulips lingering from the end of April. 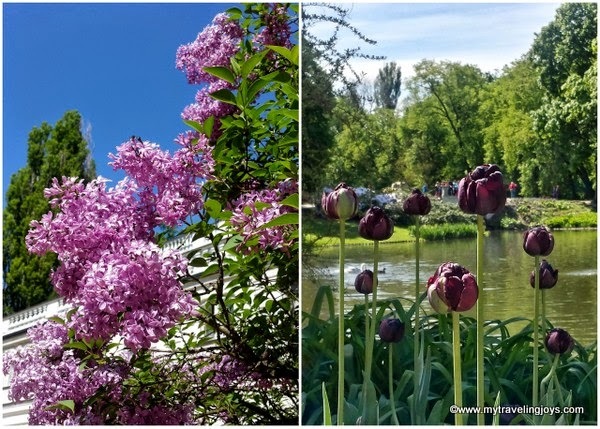 Purple lilacs and tulips in bloom in early May at Łazienki Park. Other May flowers include the virginal white Bridal’s Wreath and Lilies of the Valley, which happen to be my birth month flower. 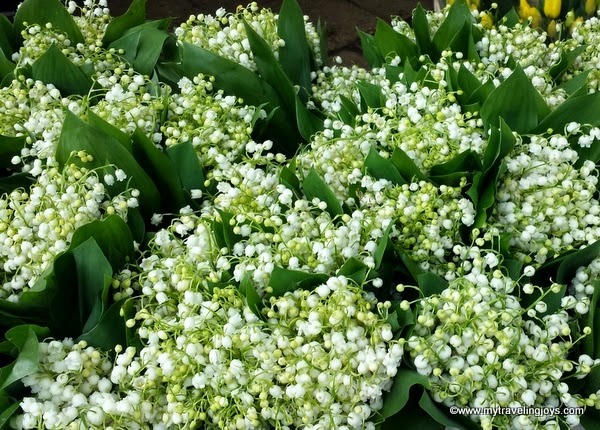 I was shocked to find bouquets of Lilies of the Valley being sold on the street for merely 3pln each (about $1). Back in NYC, I probably would have paid at least $15 for the same bouquet. I was just chatting with my husband about how I don’t remember any of these lovely flowers from the same time last year. However, we had only been living in Warsaw for about a month or so at this time, and I was still adjusting to our move. Now, I have the time to enjoy the city’s parks and landscapes. Spring pansies blooming at Ogród Saski, another pretty park, about a 20-minute walk from our apartment. Perhaps if we had moved to Warsaw in May instead of an awful April snowstorm, I would’ve have fall instantly in love with it. Instead, I’ve taken my time getting to know the city, and I must say I continue to be surprised by its beauty. Warsaw’s beauty isn’t always in your face like some cities, but it is there if you are willing to search for it. Purple allium bloom in front of Kościół pw. Wszystkich Świętych, (Church of All Saints), at Plac Grzybowski, one of my favorite squares in Warsaw. But this month, you don’t have to search too far to find Warsaw’s beauty. 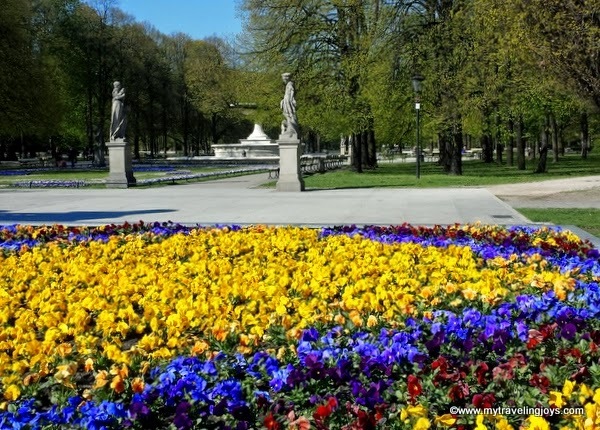 One of the city’s most popular and largest parks, Łazienki Park, is teeming full of beautiful flowers and greenery. I recently spent a Sunday here and took over 100 photos, so I have plenty for another blog post. Pretty pink and red rhododendron blooming near the Royal Łazienki Palace. One of the park’s blooming trees I had never seen before in my life. The Common Laburnum, Golden Chain or Golden Rain, produces the most fragrant, yellow blossoms that almost remind me of Sweet Peas. 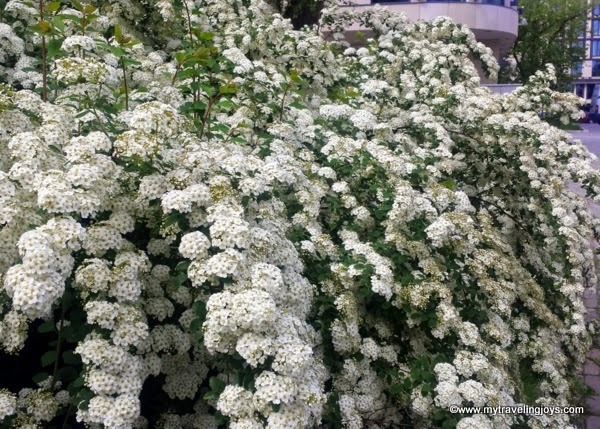 This tree is apparently native to Central and Southern Europe and typically blooms in May. These beautiful Laburnum blooms also remind me of golden Chinese lanterns hanging from the branches. As you can see, May is the perfect month to visit or live in Warsaw! Upclose photo of Bridal’s Wreath. More pansies blooming at Ogród Saski. Bright tulips blooming in late April in one of Warsaw's many parks. 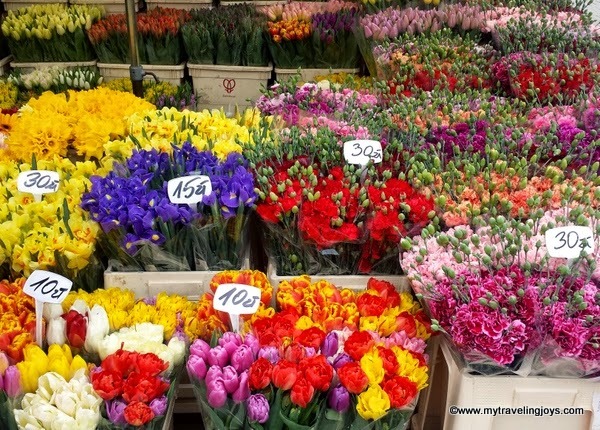 Inexpensive spring flower bouquets at Hala Mirowska in Warsaw. I love the flowers in Poland. Coming from the desert its especially fun to see and try growing things that would never survive in Arizona. 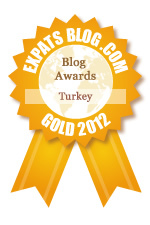 Enjoy the summer, and let me know if you get to Poznan! I think the nearby forests are full of Lily of the Valley too. Elderly women sell the bouquets on many of the busy streets just like the berries in the summer and mushrooms in the fall.